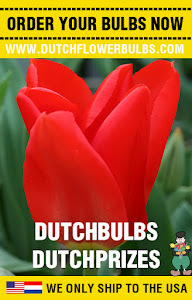 Dutch Flower Bulbs: Fall bulbs: When and How to plant? Fall bulbs: When and How to plant? As you may have noticed, it is time to buy your Fall bulbs! Plant bulbs preferably at the end of September or October. You can plant them in December, but there is a chance that the frost will make the ground very inaccessible and the risk that your flower bulbs will not grow by the frost. When planting bulbs in pots make sure the pot won't freeze to much, otherwise your bulbs won't survive. You can offer them a hand to survive the frost by mixing dead leaves with soil, so this will create a natural isolation. Putting your pots along the wall of your home is also a solution. 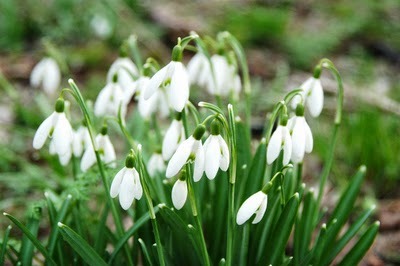 Small bulbs like to be planted under a big tree, because there is more moist in Winter and Spring. Small bulbs love moisted spots. Most of the flower bulbs grow between February and May depending of the variety, but there are also lots of summer flowering bulbs which will bloom till far in Autumn. Early bloomers are easy to plant because they won't be overgrown by other plants which grow later in the year. Be more careful with late bloomers, make sure they stand on open spots which also are free in Spring and Summer. Or plant them in pots. This way, you can entirely enjoy your flower garden. Curious when other bulbs grow and how deep you have to plant them? We have already described this for you on our website. Click on the flower you want to know more about and you will see a survey. How to protect your garden against the heat.